Port City Produce is a fresh farm market that provides local goods and produce to their local customers and community of Wilmington, North Carolina. Their goal is to promote clean, healthy living, as well as stimulate agricultural growth in North Carolina. Port City Produce partnered with DCDS to redesign their website for the 2018 season. 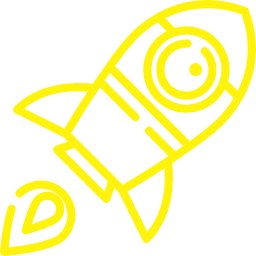 They needed to showcase their budding instagram feed on the site, enable newsletter subscription signups, and provide their location and contact information. 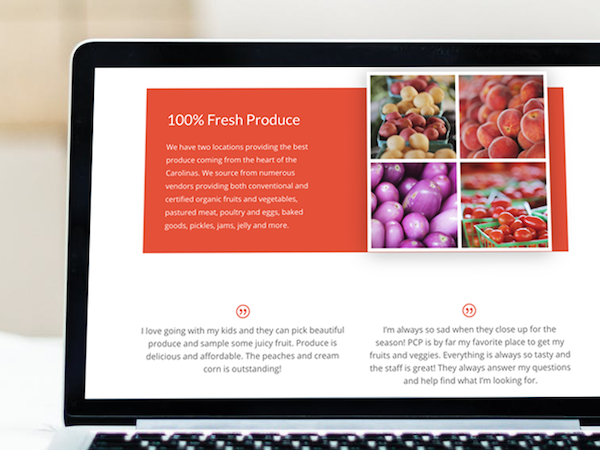 For this DCDS provided our standard service of designing, developing, and hosting a website for Port City Produce. 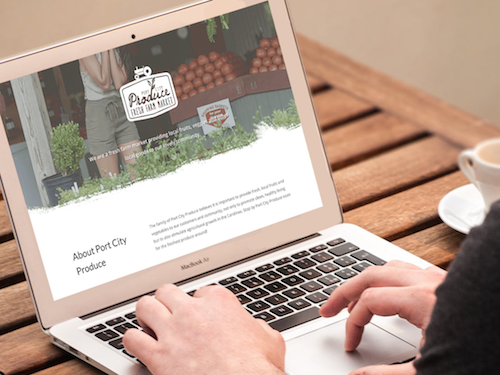 Since Port City Produce just wanted a landing page for customers interested in their brand, the website was designed to be only one page, but the same time and effort was put into making it functional and aesthetically pleasing. Port City Produce already had a great logo, so all the design work for the website was made to compliment it. 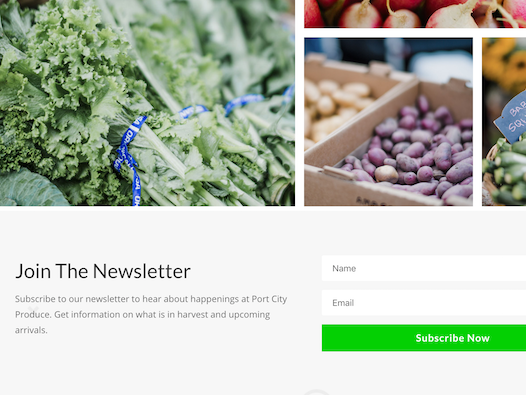 In addition, a newsletter signup was created for the website, which then was connected to an email and marketing database used by Port City Produce to better serve their customers. Our team was familiar working with the Port City Produce brand, having previously assisted with their website. Through several video and phone calls with the Owner of Port City Produce, we enhanced the brand with design elements and web accents, highlighting the local region and unique perspective on the food industry as a whole. The website can be seen here and we hope you enjoy the fruits of our labor.